When I went on my honeymoon last year in May to Aruba, we were served these amazing yummy cookies. I had never seen them before, and jonesing for more I thought I would be able to remember the name and hopefully find them in the grocery store. Sadly, I did not find them in my local grocery store, which was Giant. THEN a few weeks ago, while getting my sugar fix on, I spotted the cookies at Safeway! I was so excited! On the back of the packaging it even says “the airline cookie”. Apparently this brand of cookie is popular over in London with tea and coffee. 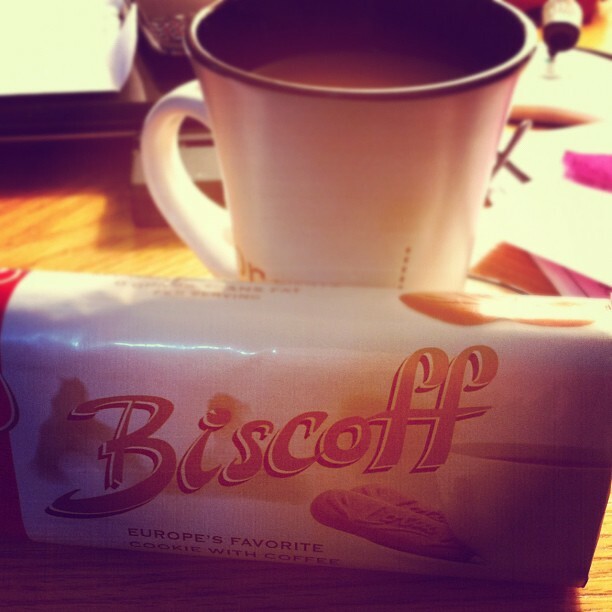 And let me tell you – dipping this cookie in your hot coffee is a little piece of Heaven in your mouth. It just takes a second for the coffee to saturate the cookie and you have a wonderful little snack to enjoy with your hot bevearge!